With the assistance of our professionals, we are involved in offering our clients a wide range of Poultry Feed. The range available with us includes broiler starter feed, broiler grower feed, broiler breeder feed, broiler finisher feed, broiler poultry life cycle feed, organic broiler poultry feed and all types of broiler poultry nutrition supplements. Our range is offered in quality packaging bags to ensure longer shelf life. 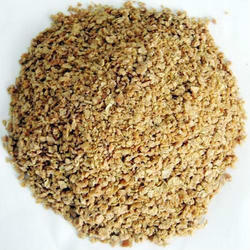 Our organization is one of the prominent names in the market involved in offering Layer Poultry Feed. Our range is completely vegetarian feed, which protects from micro-organism contamination. We make use of ingredients like cereal, grains, pulses, soy meal, essential amino acids, vitamins, minerals with micotoxin, aflatoxin and mold binders in the production process. Our range is marketed under the brand name Anupam.